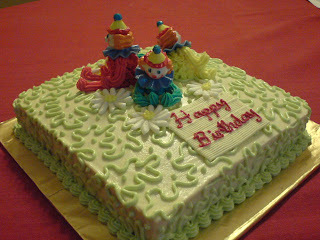 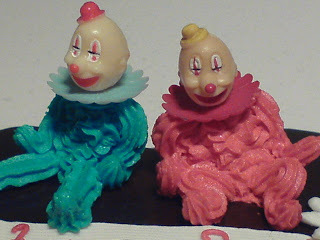 Here are some cakes decorated with buttercream clown toppers. 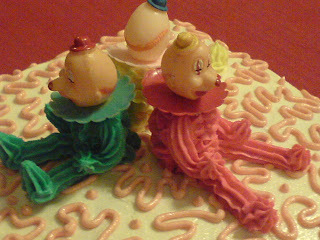 Closeup of some clowns. 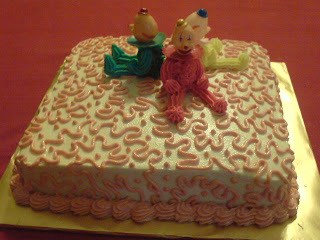 Aren't they cute? 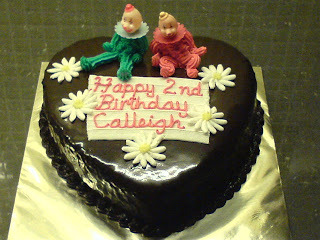 You can fashion their bodies into various poses with buttercream icing. 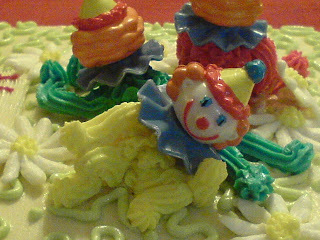 Somehow I am still not able to replicate this yellow clown's pose as it happened by accident.